Two Hollywood actors kidnapped in South LA and the details emerging after the unsealed grand jury indictment. Robert Kovacik reports for NBC4 News at 11 p.m. on July 3, 2018. Two men were charged with kidnapping an actor and actress in South Los Angeles last year and holding the actor for ransom in a plot allegedly involving a woman whose arrest was caught on video that went viral on social media, according to an indictment unsealed Tuesday. Keith Andre Stewart, 33, and Johntae Jones, 27, are charged with a dozen counts each including kidnapping for ransom, kidnapping and conspiracy to commit a crime involving the alleged May 3, 2017, attack at the home of "Halloween Resurrection" actress Daisy McCrackin. According to the indictment, actor Joseph Capone was allegedly pistol-whipped, then driven with McCrackin to a home in Compton, stripped naked and held without food in a bathtub for 30 hours while ransom money was demanded from the actress. The indictment includes gun allegations against Stewart and Jones, along with an allegation that Stewart personally inflicted great bodily injury on Capone. Co-defendant Amber Neal, 26, is facing charges including kidnapping and grand theft auto involving McCrackin and her 2011 red Lexus, according to the indictment. The indictment alleges that McCrackin and Capone were forced to wear black canvas hoods to obscure their vision while they were being driven to Jones' home in Compton and that the two were told McCrackin would need to pay a ransom of either $10,000 or $20,000 before Capone would be released. Jones and Neal allegedly took McCrackin's vehicle, drove her to multiple bank locations while demanding the money for Capone's release and forced McCrackin to write a $10,000 check to Neal, which she allegedly deposited into her account, according to the Los Angeles County District Attorney's Office. 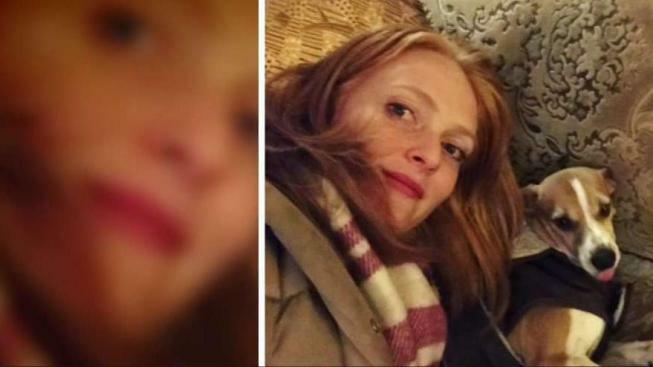 McCrackin was eventually taken back to her home the next day, where she was able to escape and alert police, according to the District Attorney's Office. Stewart -- who allegedly has four prior convictions for first-degree burglary between 2011 and 2013 in Los Angeles and Orange County -- is charged with one count each of kidnapping for ransom, kidnapping, kidnapping to commit another crime, mayhem, first-degree residential burglary, assault with a semi-automatic firearm, assault with a firearm and possession for sale of methamphetamine, along with two counts each of conspiracy to commit a crime and possession of a firearm by a felon. Jones is charged with one count each of kidnapping for ransom, kidnapping, kidnapping to commit another crime, first-degree residential burglary, unlawful driving or taking of a vehicle, perjury by declaration, forgery, grand theft auto, possession for sale of methamphetamine and resisting, obstructing or delaying a peace officer or EMT, along with two counts of conspiracy to commit a crime. Neal is charged with six counts: one count each of kidnapping to commit another crime, perjury by declaration, forgery and grand theft auto, as well as two counts of conspiracy to commit a crime. The three -- who are jailed -- are due back in a downtown Los Angeles courtroom July 23 for a pretrial hearing. If convicted as charged, Stewart and Jones each face up to life in state prison without the possibility of parole, while Neal could face up to life in prison, according to the District Attorney's Office. Neal's arrest, which occurred around 7 a.m. Monday near La Cienega Boulevard and Centinela Avenue, was caught on cellphone video and posted on Twitter. The video has since been viewed about 2.4 million times. The man who recorded the video from a nearby Starbucks can be heard in the background questioning the show of force by law enforcement. "That is unnecessary," the man says on the video as Neal is seen getting out of her car with her arms raised and walking backward toward gun-wielding officers. "Wow. Wow, really? We've got one, two, three, four, five -- five guns pointed at this woman, at this unarmed black woman." As the video began going viral on Twitter, the LAPD responded on its own Twitter page, with a post nothing that the woman was wanted for a violent crime. "Although we are limited in what info we can release, we can confirm this individual was arrested on a felony kidnapping warrant & taken into custody without a use of force," according to the department's post. "She is being held on $1 million bail." When charges were announced Tuesday, the department tweeted an update, noting that "three people, including the female seen in this video, have been charged with kidnapping an actress and an actor and holding the male victim for ransom."